I woke up this morning fully relaxed. I had the weekend off with my wife and son, and the only gaming I did was a brief session of FTL: Faster Than Light during one of the little boy’s afternoon naps. When I fired up my work computer at 7:30, I found two separate emails from Sean Aune (our EIC) asking what my opinion of the NVIDIA Shield was. 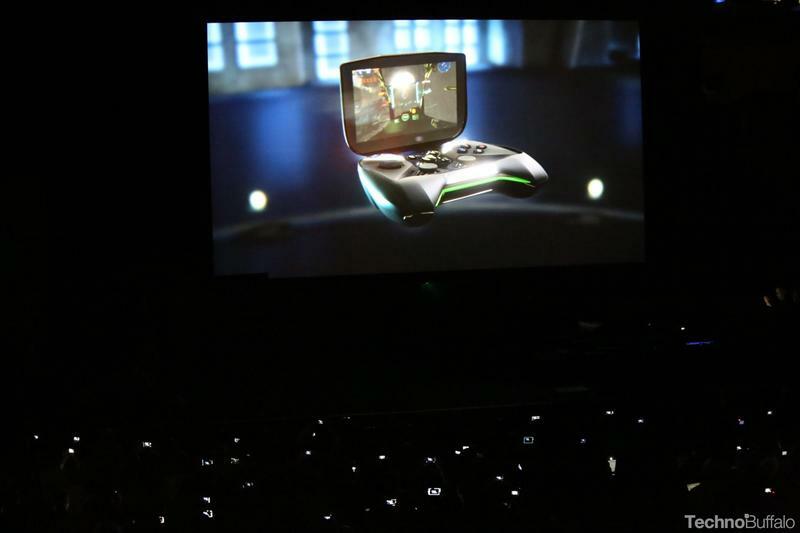 The NVIDIA Shield? What the heck is that? After checking the site and catching up on the fresh announcement, I decided to settle down, pour myself a coffee and draft up exactly why this thing didn’t send me into the same fit of excitement that it seems to have induced for the staffers currently grinding away at CES in Vegas. Man, this thing is ugly. Black on silver on neon green? Sure, why not? Let’s slap some Xbox 360-esque buttons on the right, PlayStation-style analog sticks on the bottom and five system buttons in the center. Then, for good measure, we’ll give it silver speaker grills. Now, I’m sitting here at home on the east coast, well away from Las Vegas and the CES show floor. 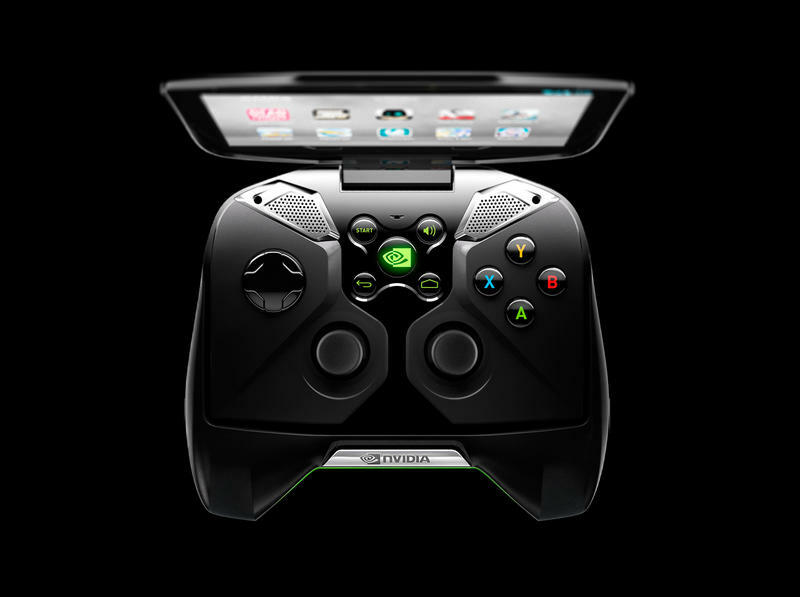 I can’t speak to the ergonomic comfort (or discomfort, for that matter) of the NVIDIA Shield. It’s entirely possible that this upcoming handheld could fit perfectly into the hands of any would-be gamer. But, from here? I see this thing and “ergonomic comfort” doesn’t really come to mind. And what’s up with the name “Shield?” Minor complaint, I know, but what’s this thing defending? My love of beautiful hardware design? 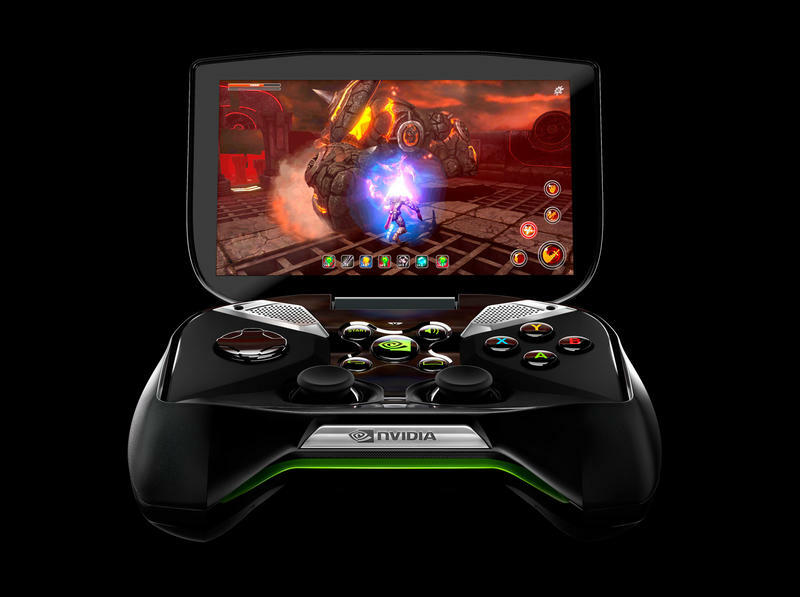 An overpowered Android gaming device. Before you start yelling something like, “But it plays PC games!,” I’ll get there. Just hold on to your hats. Away from home, this is an Android gaming device with a really nice chipset and a dedicated (and seriously ugly) controller. It has access to the Google Play marketplace and TegraZone. It is, when you strip away all the marketing and design hullabaloo, a glorified tablet/phone with a controller attached to it. Those are the games it plays. 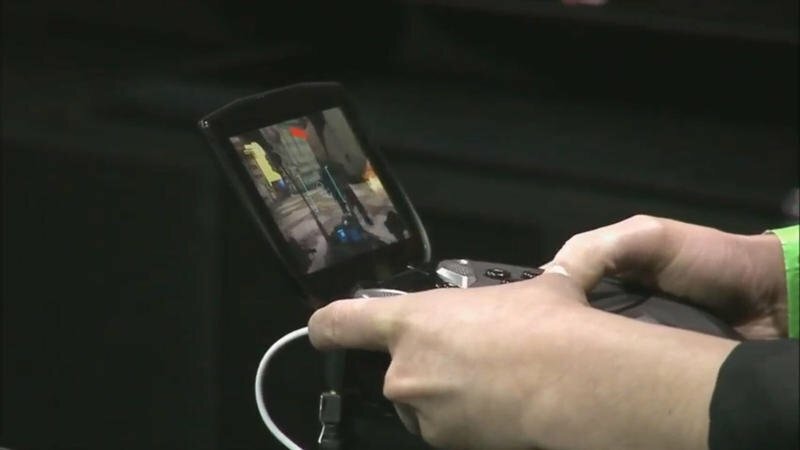 Now, for me as a gamer who lives and dies by his consoles, handhelds and gaming PC, the mobile gaming space is nothing more than a time filler. It’s something I do in between getting from place to place or while sitting on the john. It’s the instant gratification I need while in transit, it’s not what I sit down to ingest on a Saturday morning. 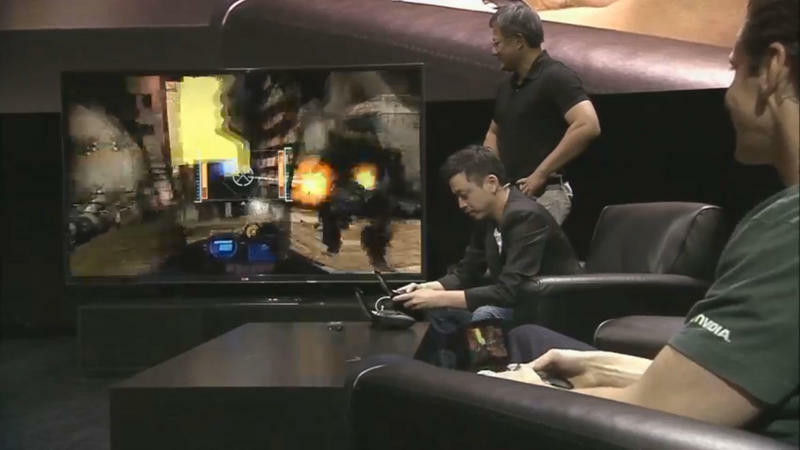 When I game, I don’t get pumped about fake Call of Duty knock-offs, second-tier third-person combat games and re-released Grand Theft Autos. I get pumped about Skyrim, FTL, Borderlands 2, Assassin’s Creed, Mario, Grand Theft Auto V and The Last of Us. I get pumped about big AAA experiences and perfectly quirky indie forays. The software library this boasts doesn’t excite me yet. Even better, I already have access to said library with my Android powered phone that sports Bluetooth (for a whole host of more comfortable controllers) and an HDMI output for gaming on my TV (even though that’s something I find no need for). That slogan works really well as a marketing blip. You tell a PC gamer that he or she will have access to their full library of Steam games away from home, and their interest is piqued. Rightfully so. But, the Shield has some specific requirements. First, potential gamers need to be owners of NVIDIA GeForce GTX GPUs. While certainly one of the most popular and present graphics processing lines currently in the PC market, it’s not the only. That means AMD users will be completely out in the cold if they want to use the Shield to play their PC games on the go. Oh, and by “on the go” I really mean “somewhere else within their home’s WiFi range.” The Shield only plays Steam games when wirelessly connected to the network that the Steam library resides within. And there’s my first big hurdle (my gaming rig does have a GeForce GTX card). If you want to play your Steam games on your TV screen with the Shield, you’ll need a GTX GPU in your PC, a solid wireless network and a lengthy HDMI cable to go from the Shield to you TV. That, for me, doesn’t sound appealing at all. Not to mention the fact that not every home has enough wireless stability and strength to support the full streaming of games from a PC to a handheld like the Shield. As a gamer, why would I want this device? If I want to game on the go, I have my Nintendo 3DS, my PS Vita and my phone. Is this thing really going to fill that niche? When I’m gaming at home, I have my PC, Xbox 360, PlayStation 3 and Wii U. Where does the Shield fit into that picture? The Shield doesn’t even have much of a foothold in the market of upcoming devices that are like it. Valve is set to release the Steam Box, an unknown system that will likely win the love of its adoring fanbase. And the “Android Games on TV” marketplace is already teeming with things like the Ouya and the Gamestik. I just don’t see the need for the Shield. I love the idea, I like that NVIDIA is taking risks and trying something new, but I’m not sold.